I had a little bit of time today to play around in my crafting area and boy-was it fun to finally get inky again. I did some copic coloring and couldn't figure out why the markers were so streaky on the paper until I realized that I was using the wrong paper. I was using a paper that had a pretty high gloss to it but by then I was committed and of course didn't want to waste paper, ink and time so I just forged onward. I am not a big Valentine's day person so I often have to push myself to make these particular cards. I like the colors used....but find that by the time Valentines rolls around I am just sick of the constant pink, red and white palette. I did find some neat stamp images the last few years and so today those are some of the images I worked with. All dies are Spellbinder Dies. 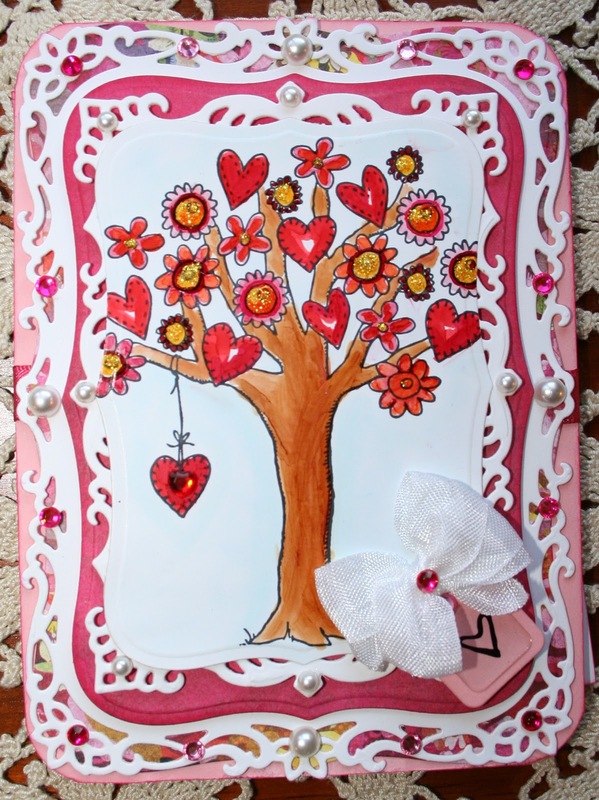 The tree image is the WhipperSnapper Designs Friendship Tree. I love this little tree because it can be used for occasions other than Valentine's Day and it also has options like cutting out the flowers and hearts and popping random ones up. 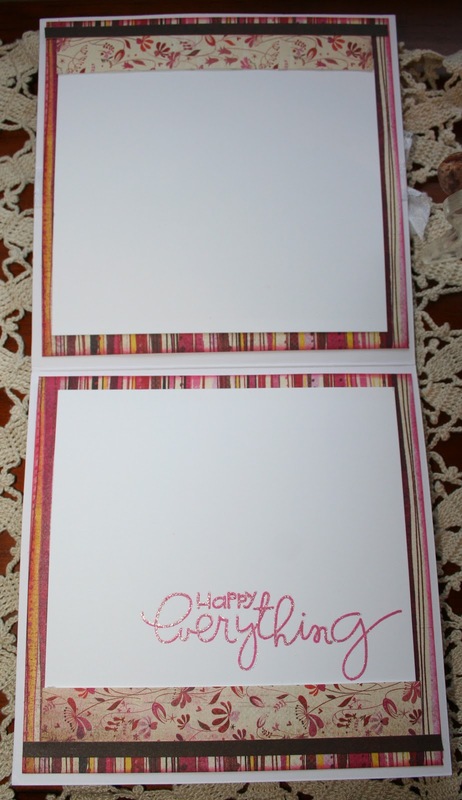 As I have mentioned before I am getting into decorating the inside of the cards more and more lately. To me it is fun, it looks nice and the bonus is it uses all those extra scraps that I have laying around. The following picture isn't great.....I don't have the insides glued down yet...not till after I write the message! Also, I wanted to point out another tip I tried that works when using very intricate dies such as the one I have on this card. Before I have said that wax paper works to pop out those intricate cuts but sometimes your die, unless you take the time to fully tape everything down, will slide on the wax paper and mess up your cut. Somewhere out in the blogland I read that rubbing a dryer sheet over your die before placing your paper in it will also allow the paper to pretty much fall out of the die after cutting. I tried it today and it actually did work pretty well. I found that I still needed to use a stick pin to clean my dies before storing them but otherwise, the cut came out very quickly and cleanly! For the next card I used a Northwoods Rubber Stamp Co. image and when I bought it I just thought it was different and really kinda fun for a Valentines card. I did a lot of matting here.....I use my Perfect Ruler's rulers for straight matting and am always happy with how quick and even my mats turn out. I then colored the image twice....popping up the three big hearts on foam dots. I also found this rhinestone heart in the bridal section of JoAnn's. I liked how many hearts I got for the price....there are 40 hearts in a pack for about $8.00. I colored this one with copics to tie in with the colors of the balloon. Again I finished the inside with some left over papers. I also use papers for the inside that I feel I will never use anywhere else....know what I mean? In every pack of papers that I have ever bought there is a pattern or two that really doesn't appeal to me very much....a pattern that will simply never be used on the outside of card. But, I find that those paper patterns are often just the right punch of color for a card's inside and so once again I am able to use up some more of my stash. And, I know we all have more stash than we need! 2 wonderful Valentines, Sheila! The tree stamp is really delightful. I can see how fun it'd be for a lot of different cards. The second one is just beautiful! 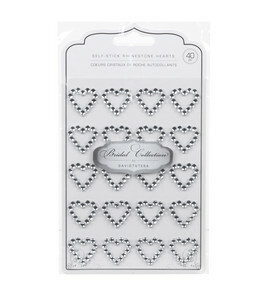 I love the crystal heart--will have to look for them next time I'm shopping. The wax paper has been working for me, but next time I may try the dryer sheet trick. You put a lot of thoughts and love into these two cards, Sheila! They are so detailed and intricate! I think I can stare at them for hours! I can't believe that you decorated the inside, too! Wow, you amaze me! Beautiful work as always! Hi Sheila! I love the touches of brown in both your cards, it really breaks up that traditional red and white combo! You always use the nicest images, that tree is so filled with love and sweetness! Just keep warm my friend. Both of these are lovely! Love the insides too. Oh, that tree is absolutely delightful, Sheila! I love it! And your heart balloons could not be any cuter! Darling cards, my friend! Hi Sheila, I love both of your cards. Maybe you should check out the Die Cut Diva's flickr/blog. I can't give away much more than that ;). Love these cards they are both super sweet & wonderful for Valentines Day. Hope the weather warms up a bit for you. It's in the mid 30s (Celsius) here so a tad hot & very sticky the humidity is quite high. Lets swap weather for a day or two lol. Wow Sheila, these are lovely cards glad you could play along, its pretty cold here to but atleast we are still in the 20's to 30's, Stay warm! 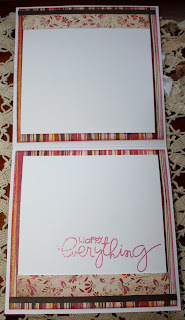 Thank you so much for your wonderful complements about the Die Cut Divas' Flickr group. It's been a great place for me to get inspiration. Talk about inspiration - I love what you've done with the insides of your cards and your tips. Terrific cards. The tree card is delightful and I love the heart hot air balloons. Beautiful layering on your cards. I always struggle with layering. Thank you for joining the Die Cut Divas challenge. Hi Sheila... awesome cards and so beautifully decorated inside too... thanks so much for your "shout out" for DCD's... the more we can get the word out, the better. You're our first entrant on the updated challenges!!! Yeah!! All of your details amaze me! 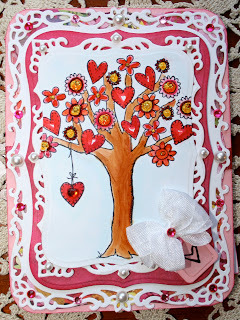 I love, love, love the tree and the heart balloons! Beautiful cards! Your cards are just beautiful! I love how you add so much 'love' to the inside, too! These are beautiful! How kind of you to help the DCD's spread the word!